In the days leading up to last week’s big event, otherwise known as Hurricane Sandy, my big concern was the sort of food I’d need on hand once the storm blew in. Unsure whether the power would stay on, I doubled my money (or rather my outlay of it), filling the fridge with things like milk, cheese, eggs, and chicken parts, and the cupboards (and windowsills) with crackers, peanut butter, potato chips, and tuna. Of course, I also made certain we had extra batteries on hand, gas in the tank, and a wad of cash socked away, but the real focus of my attention was, per usual, my belly—and as the clock ticked down to Sandy’s landfall I made multiple trips to the corner deli to make sure food wouldn’t be an issue. The irony is that once the wind started screaming and the power clicked off, so too did my appetite; I guess I’m just not that interested in eating if I can’t also enjoy the TV! I’m making light of things, of course, because even for those of us who got off relatively easy (in our 5th floor East Village apartment we had no power for five days—an inconvenience for sure, but not really a hardship given what others have endured) living through the aftermath was an eye-opening experience. Even now, a full eleven days later, one is keenly aware of the suffering people in areas like Staten Island and the Rockaways are living through. (If you’d like to help check out The American Red Cross, New York Cares, Food not Bombs, and Staten Island Recovers.) All of which makes my initial impulse to fill the freezer with multiple flavors of Ben and Jerry’s seem, well, a little clueless, particularly given that it all had to be thrown out the next day anyway. 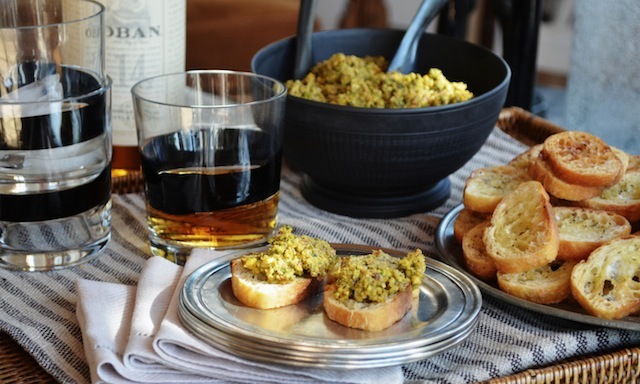 In any case, had I made all the things I was intending to before the lights went out, they would have included the pistachio pesto I bring to you here—the various ingredients for which were among the first to be ferried to my kitchen in anticipation of Sandy’s arrival. The pesto is one I’d already made a couple of times (I pulled the recipe from the October issue of Bon Appétit) and it’s just the sort of thing you want on hand when the wind is howling and the lights go out . . . or so I imagined. Okay, so I was wrong there, but the minute the power returned, so did thoughts of this pesto. It has that effect. 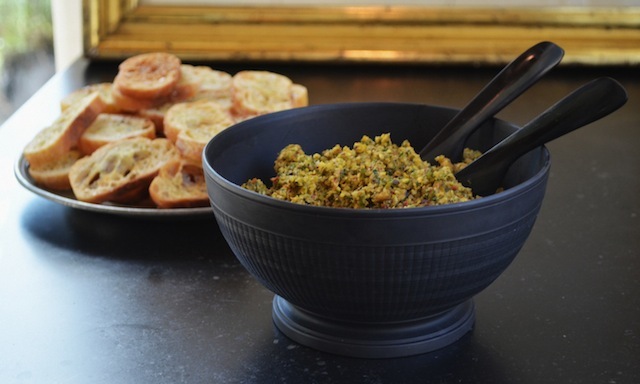 The truth is I’d been on something of a quest for a good nut pesto recipe for several months when I stumbled across this one, having sampled a walnut variety (mounded atop freshly made crostini) at one of my favorite New York City haunts, Buvette, last spring. Months later I was still thinking about it—a sure sign it was something I needed to master myself. 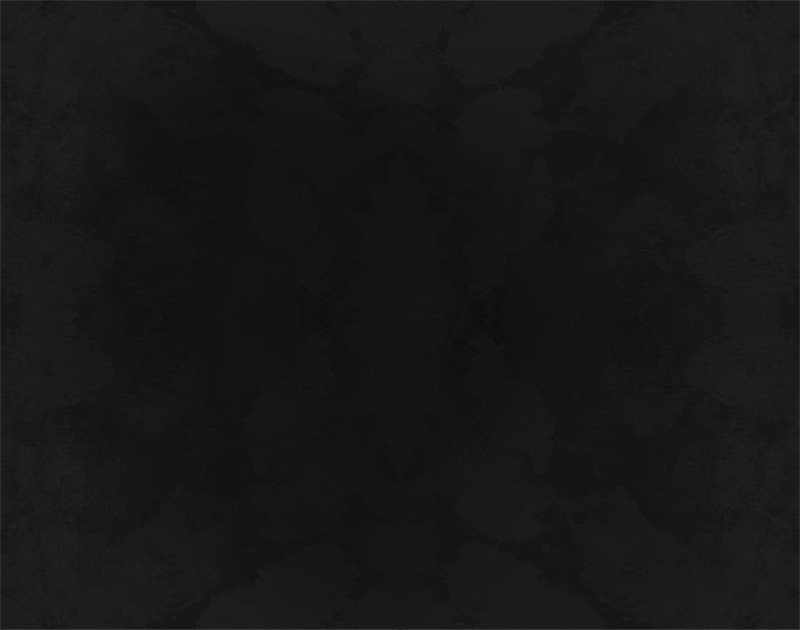 I suppose one of the reasons had to do with the surprising texture. 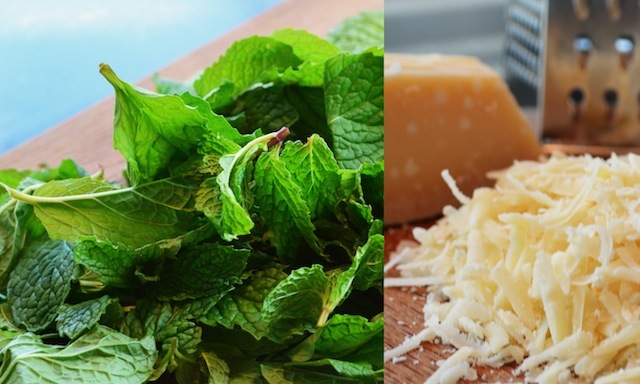 Unlike the standard variety (which is made with pine nuts—a seed and not, in fact, a nut—as well as lots of basil), a nut-based pesto naturally produces something hardier and richer, not to mention more spreadable, but still with all of the signature pesto-ness, courtesy of the cheese, the garlic, and the olive oil. 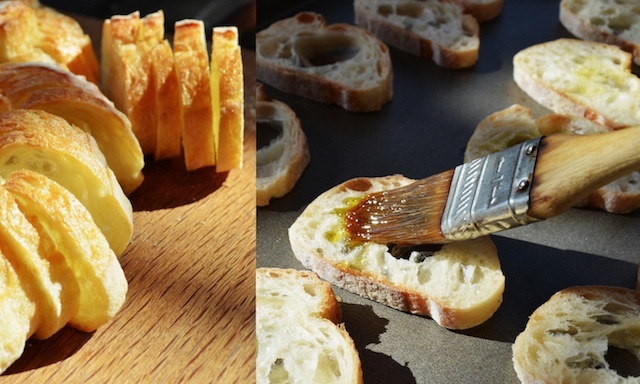 As such it’s the ideal accompaniment for one of cooking’s simplest, and most compulsively eatable creations: the crostini. That, anyway, was what I intended to do with the recipe when I came across it, though the recipe’s creator (Nate Hamilton, of the Madison, WI restaurant, Harvest) proposes it as a topping for pasta (also a winner), or as a spread for sandwiches (less appealing to me, particularly when compared to the pleasures of those crostini). The thing about pesto is that even at its most demanding it’s a breeze to assemble, with all of the heavy lifting (if you can even call it that) coming in the form of plucking several cups worth of basil leaves from their stems. The version I bring to you here, however, does not even require that step, with the dish’s all-important earthiness delivered by a substantially smaller quantity of fresh mint leaves. 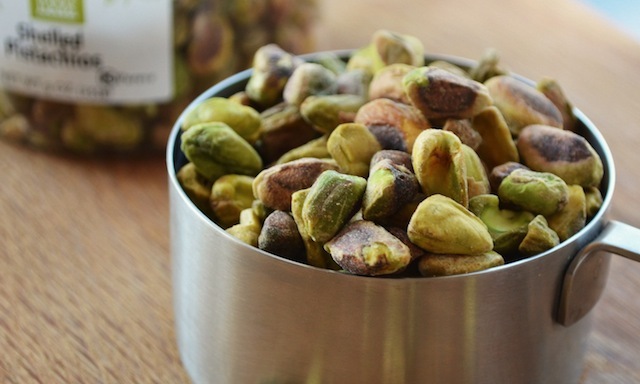 That should come as no surprise, as the full-bodied pistachio needs less in the way of enhancement than the comparatively delicate pine-nut does, though it also points to the fact that this is more of a brown pesto experience than a green one, so think earthy versus herbal. 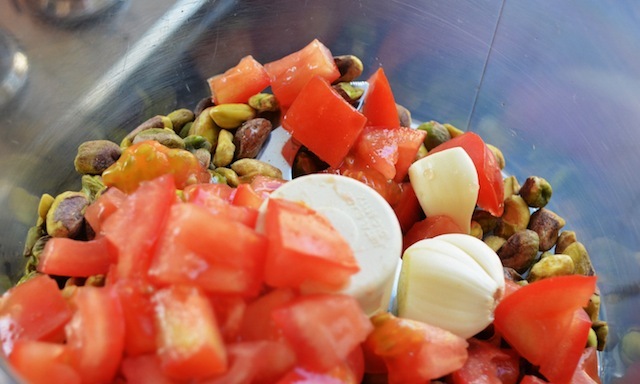 In any case, all that remains in the way of actual work is the chopping of one medium tomato (for an important acidic component to round out the nuttiness of the pistachios), the grating of a ½ cup of Parmesan cheese, and that’s it—unless, of course, you purchased your nuts unshelled, in which case you can add ten minutes of shelling to your list of tasks. All of the above ingredients are then whirred alongside a few cloves of garlic (fight the impulse to increase the quantity here; two is plenty), a pinch of red pepper flakes, a small amount of ground black pepper, and a couple tablespoons of olive oil (you may want to add a bit more later) in a food processor for thirty seconds or until it forms a coarse purée, and presto: pesto. If the resulting mixture is intended as a pasta topping, it may need the addition of some of the liquid the pasta was cooked in to loosen things up slightly (add by tablespoon increments so as to not overdo it). 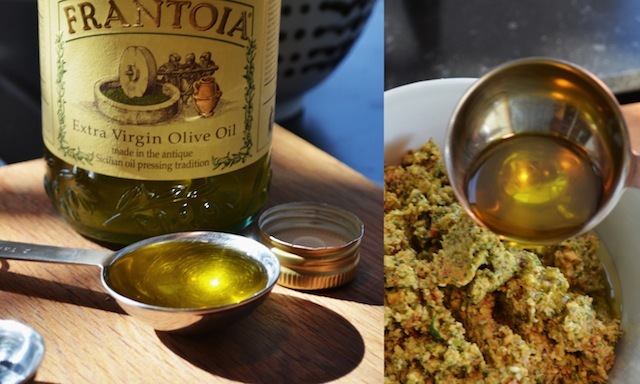 And if it’s planned for crostini just transfer to a bowl and serve—though as mentioned above, a splash or two more olive oil may be in order if the mixture seems a little dry. Of course, even the most successful topping can only be expected to deliver so much—going the full distance calls for a first-rate companion. That’s where those crostini I mentioned earlier come in. Luckily, whipping up a batch requires nothing more than the carving of a baguette (into 1/4-inch slices), slathering both sides of each slice with olive oil, sprinkling with some coarse salt and pepper, then toasting in a 350 degree oven for 15 to 20 minutes. 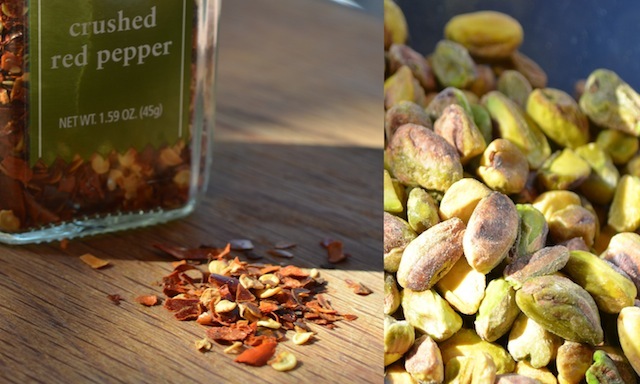 It’s that simple, which in a way is a mixed blessing since it’s a little like being given the secret to home-made potato chips and discovering that there’s nothing to it—the best snack food ever, right out of your own kitchen, and in minutes! In any case, should you manage some restraint and find you have a quantity of these crunchy, salty bread slices left over, they’ll keep in a resealable plastic bag for up to several days (and will also work well crumbled into salads; croutons anyone?). Chances are, though, once you put these out alongside a bowl of that pesto any fantasy of leftovers will quickly be replaced by the reality of empty dishes. In other words, it’s just the thing to have on hand as we move into the holiday season. Note: If you’re serving a large crowd, there’s more than enough pesto to accompany two baguette’s worth of crostini—if so, double the crostini ingredients below. Or chill the remainder and toss with freshly cooked pasta (about 1 cup of pesto to 1 lb of pasta). 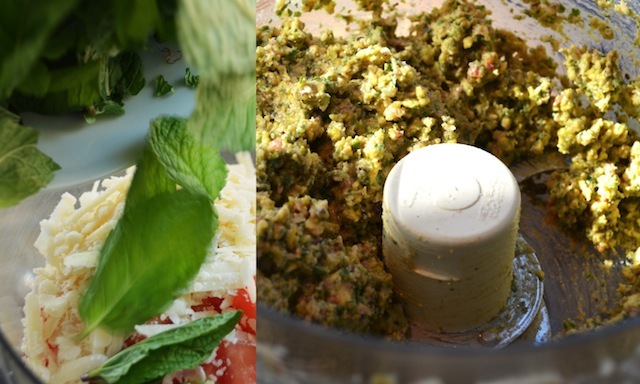 —Pulse the pistachios, chopped tomato, garlic, mint, cheese, red pepper flakes and pepper in a food processor until a coarse purée forms. 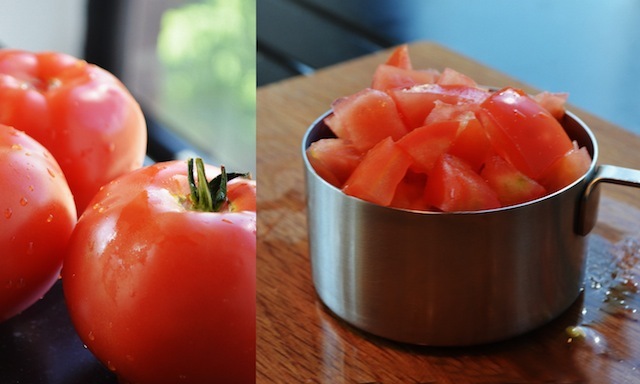 —Transfer to a bowl; stir in 2 tbs olive oil (or more, as needed) to form a thick, chunky sauce. Season with kosher salt and pepper. —Serve alongside freshly made crostini, or toss 1 cup of pesto with 1 lb of freshly cooked pasta, adding pasta cooking liquid by the tablespoon until the sauce is glossy. Note: Remaining pesto can be chilled for up to several days. Bring to room temperature and mix well before using. —Preheat oven to 350˚. Arrange baguette slices on two large rimmed baking sheets; brush both sides generously with olive oil, and season with salt and pepper. —Bake until golden, about 15 to 20 minutes, rotating sheets halfway through.